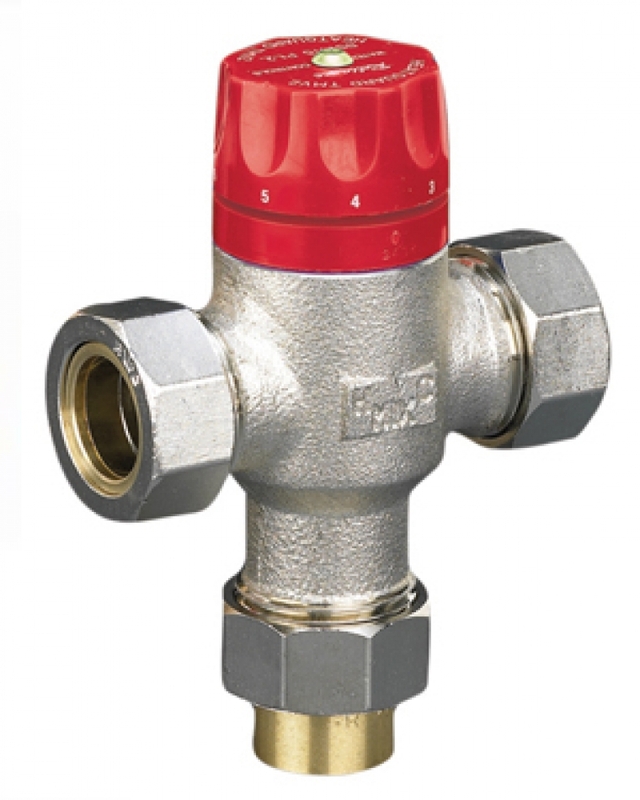 Thermostatic blending valve suitable for high flow rates, with 22mm connections. Our wax capsule technology ensures stable mixed water temperature. Suitable for blending the flow and return to achieve a stable system temperature in underfloor heating systems.